Handlebar Mounted Control, Black. Fits 2015+ Road Glide and Road Glide Special. Handlebar Mounted Control,Chrome. 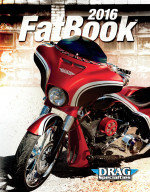 Fits 2015+ Road Glide and Road Glide Special. Legend Suspensions, Aero FL 13'' Black All new Legend AERO Suspensions Systems sets the high mark in ultimate ride quality.